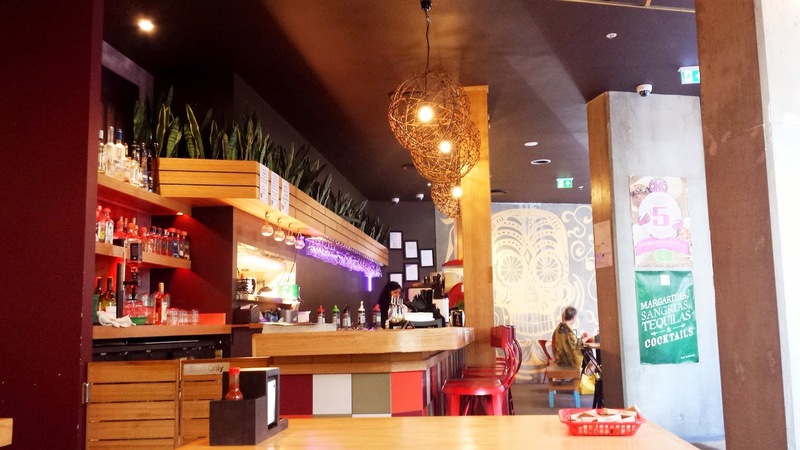 The Burrito Bar, Portside Wharf, Hamilton, Brisbane - my name is Food. 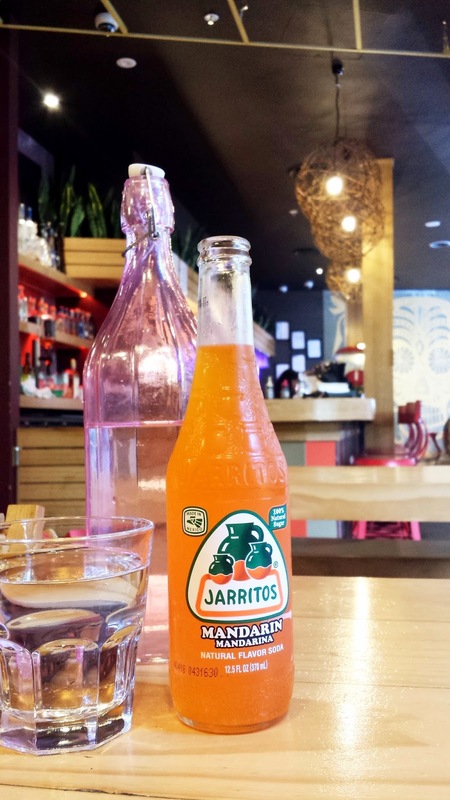 Jarritos Mexican Soda ($4.95) - Mandarin - reminded me of Orange Fanta.. The place wasn't full at all, with only about a few tables filled. However, the lady that was there didn't seem to be friendly as we were told that we were able to sit anywhere by the man who greeted us, but when we were about to sit down, the lady asked if we could sit elsewhere. In which we responded by asking whether there was a problem with this table or not, and all she said was no but the fact that she would have to clean it up for us (even if there weren't anything on the table, other than the essentials and maybe some leftover scraps from a not-so-clean cleaning). Customer service is a big part in restaurants, even in food courts so bad or unfriendly customer service do make me lazy to come back sometimes or even makes me get a not-so-good feeling about the place and the food. 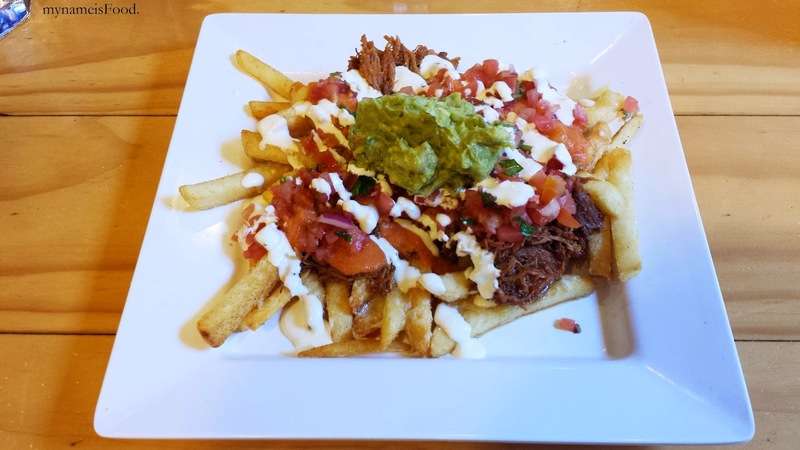 'Nacho Fries' ($13.95) was Mexican Fries topped with your choice of meat (we chose Slow Cooked Beef), cheese, pico de gallo, sour cream and guacamole. The portion of the dish was very sufficient which led us to being quite full in the end. 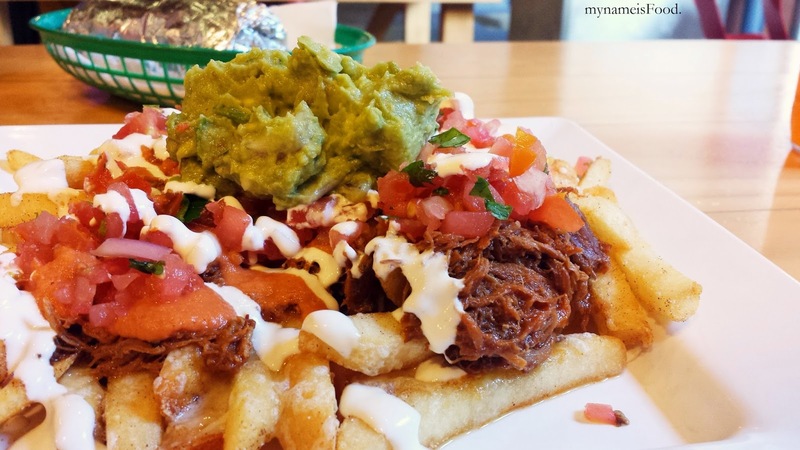 The toppings mixed well with each other, though a bit more sour cream would be nice, and the fries could also have been crispier than how it was. 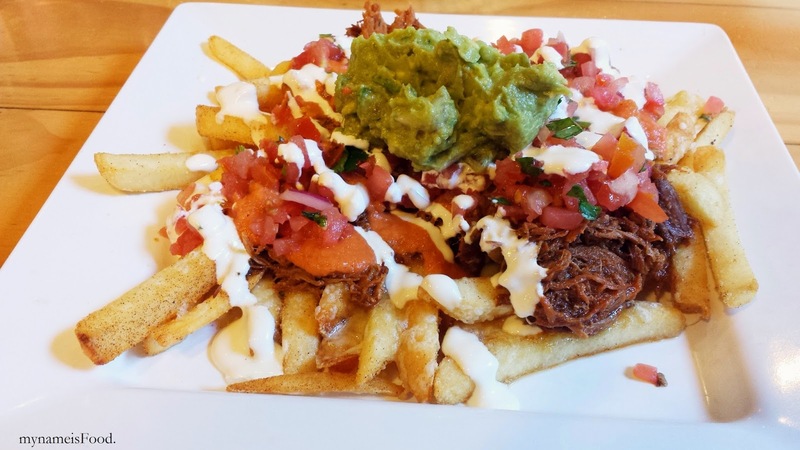 Since the toppings are placed on top of the fries, it does make the fries go soggy quite a bit, so if the fries itself aren't fried well or not crispy at first, then by having the topping on top would make it worse. The fresh salad with the warm slow cooked beef really hit it well together, use your hands to be a bit messy but there are always forks available. 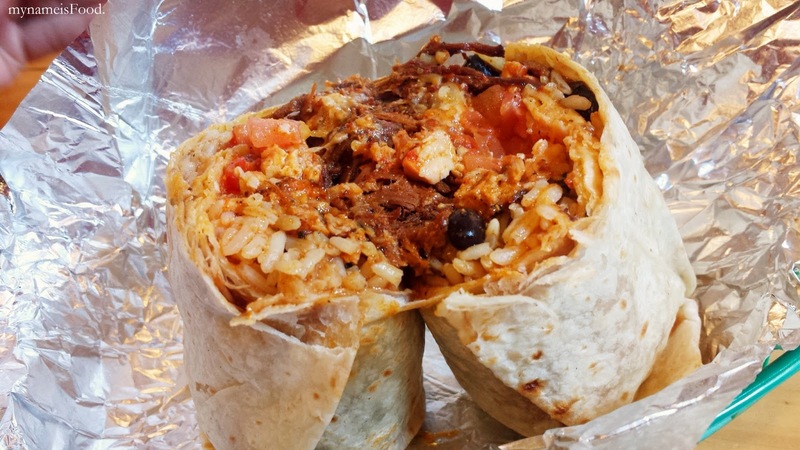 'Pork Burrito' (Large: $11.95) was a 12-hour slow cooked chipotle pulled pork with lime rice, savoury black beans, roasted tomato salsa, pico de gallo and cheese wrapped in a flour tortilla. 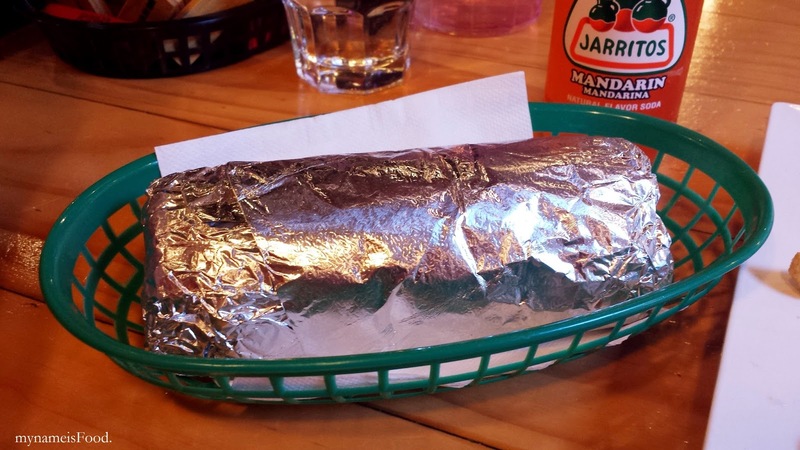 By the price tag, I wasn't quite sure on how big or small the burrito would be. Served in a small plastic basket, I didn't find the burrito to have been something special, the presentation in the basket neither. 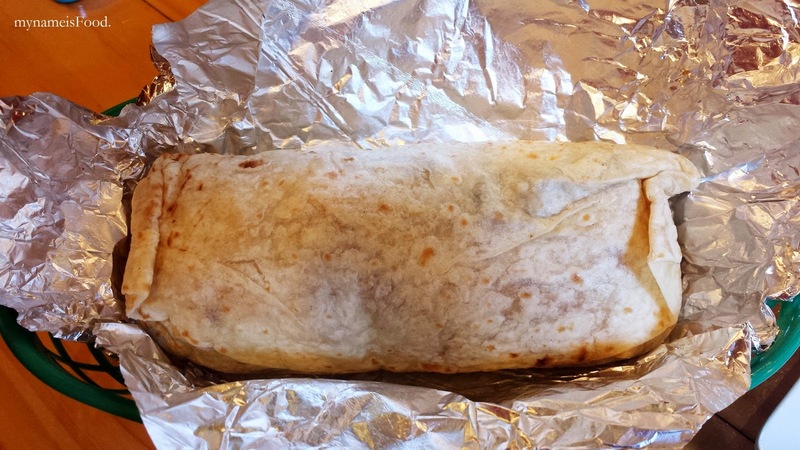 The burrito looked a bit sad when I opened it up, but when you slice it in half, you could see that there was a lot of texture with most of the burrito being filled with rice. 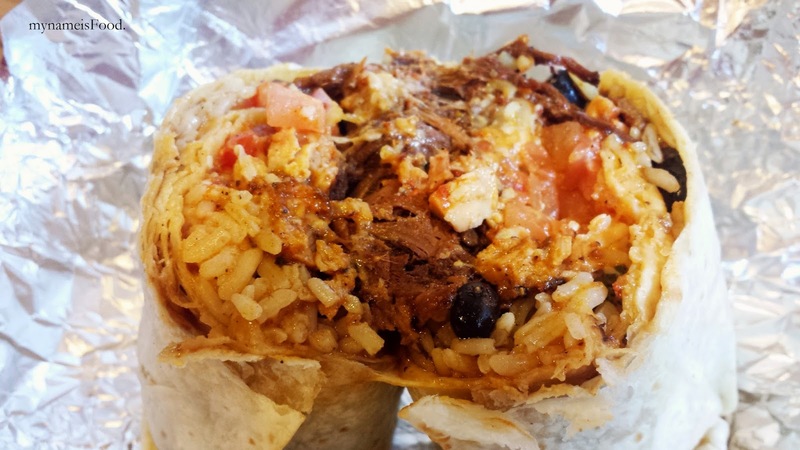 The meat was nicely done but only filled the middle part of the burrito and not on either ends of it making it just plain (just simply rice, beans and tomato left) so it just felt as if you were biting on to a rice dish or some sort..